The youth and pop culture movements of the postwar period also touched the so-called second generation of guest workers, those born and raised in the Federal Republic. In their case, generational conflict was exacerbated by an added cultural component. Below is one member of this group, a Turkish teenager at home in the city of Hamburg. 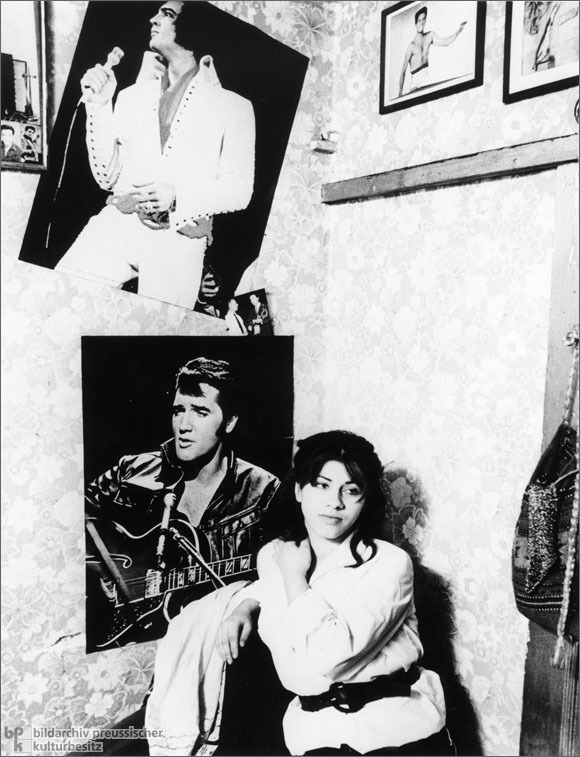 The Elvis Presley posters that hang askew on the wall behind her form an interesting counterpoint to the room's flowered wallpaper. This visual juxtaposition invites larger metaphorical reflections on the "clash" between modernity and tradition, culture and family, and public and private values. Photo by Günter Zint.